The Model 3 announcement did not really cover how different or similar the battery technology in the Model 3 will be from predecessor vehicles from them. 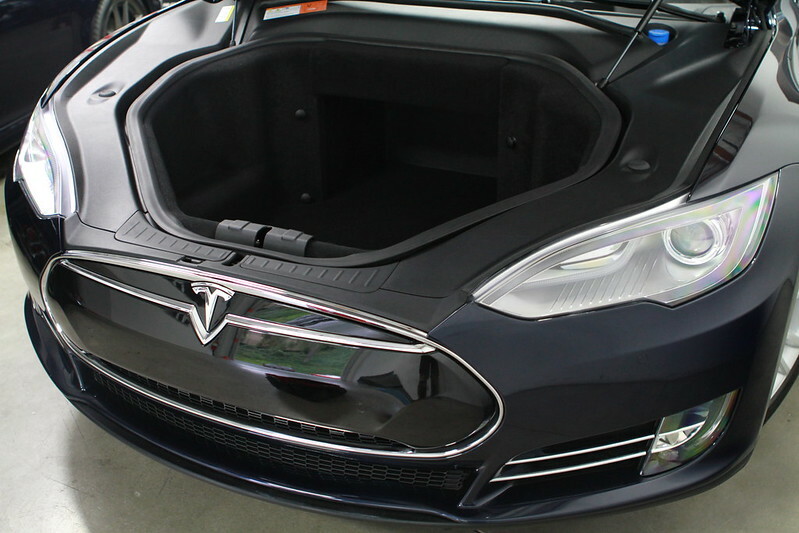 The Roadster has a different pack than the Model S and Model X. So, how does one get the comfort of knowing that “Tesla knows what they’re doing with batteries.” I suppose we can just trust them. Fortunately, that is not our only option. 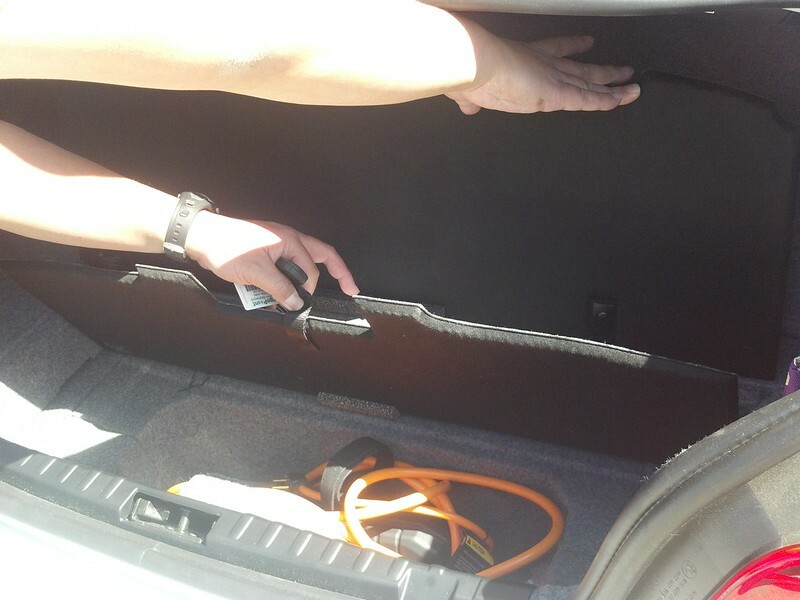 Over the past few years, long-time Electric Vehicle advocate, Plug in America Chief Science Officer, and Tesla Motors Roadster owner Tom Saxton has been conducting several long-term battery studies hosted on the Plug in America site. Plug In America drives change to accelerate the shift to plug-in vehicles powered by clean, affordable, domestic electricity to reduce our nation’s dependence on petroleum, improve air quality and reduce greenhouse gas emissions. 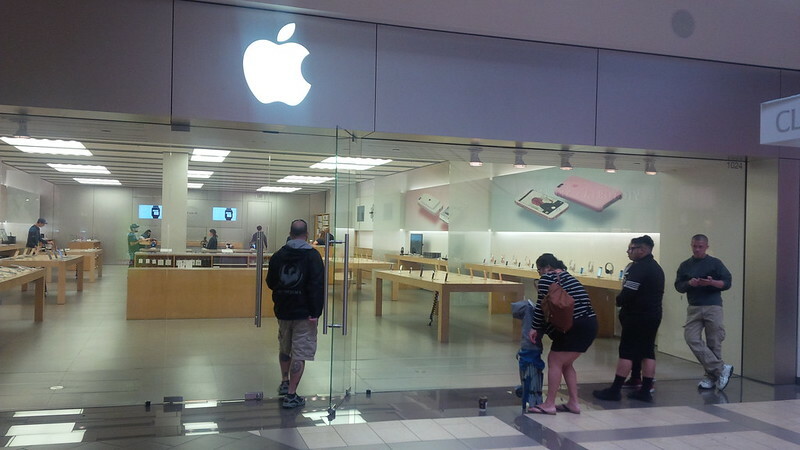 Plug In America is a coalition of early adopters. We’re the EV trailblazers – RAV4‐EV drivers, former lessees of Honda EV+, GM EV1, Ford Ranger and Ford Th!nk City electric cars – that passionately advocate for energy independence and clean air. Before 2008, we functioned as a loose network of individuals organized around various websites like dontcrush.com and saveEV1.com. 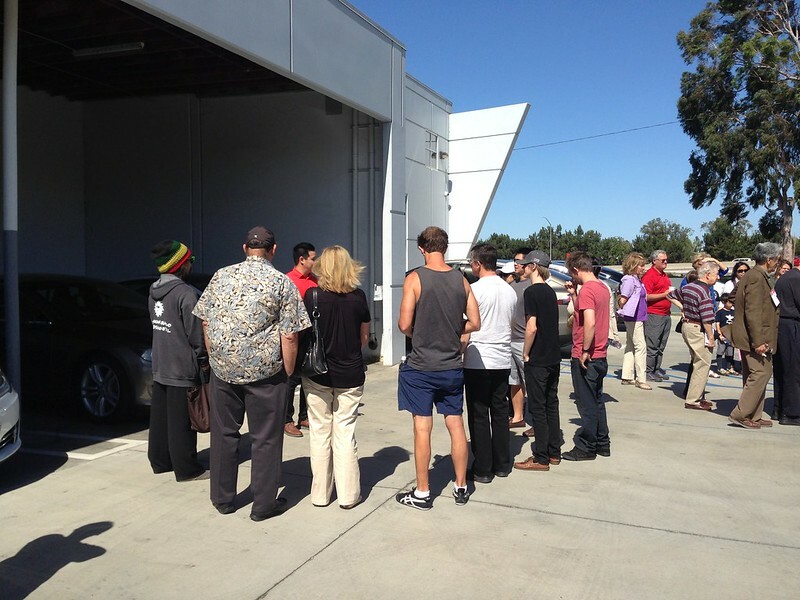 We then coalesced into a chapter of the Electric Auto Association. On January 2, 2008, Plug In America became a separate California non‐profit corporation. On August 18, 2008, we became an official 501(c)(3) public charity! 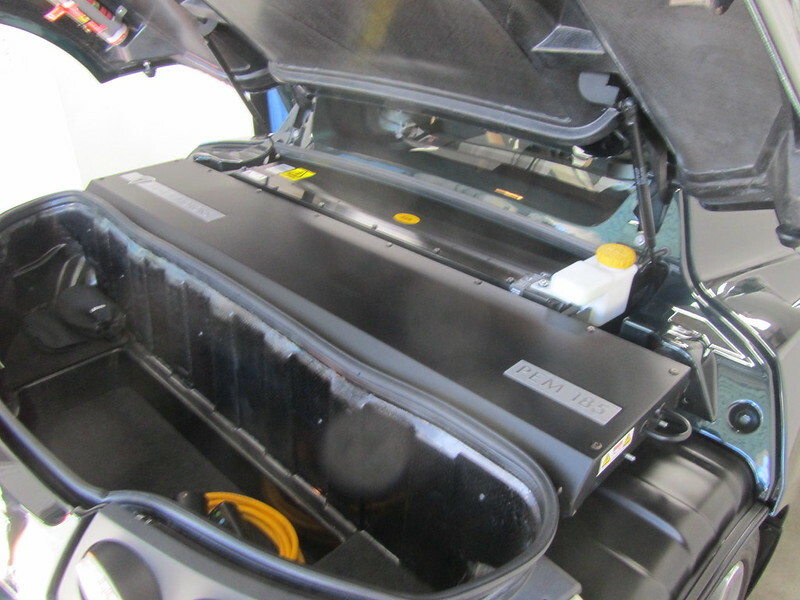 The battery studies that Tom Saxton have been running for years rely on nearly semi-annual updates from respondents that drive Tesla Roadsters and Tesla Model S as well as the Nissan Leaf and the first generation Toyota RAV4 EV. In email correspondence with Tom, he has indicated that he is looking to expand the study in the near future to include the Model X as well. 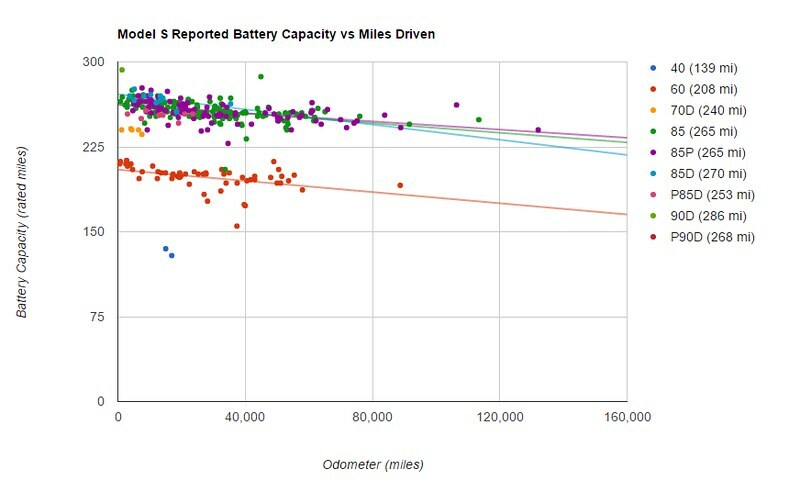 Tom’s long-term battery study has been invaluable not only to the greater EV community but specifically to Tesla fans as well. 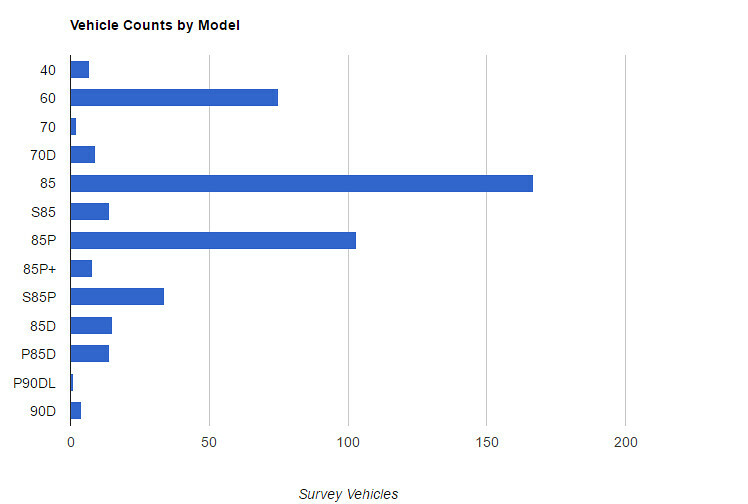 The take rate for participants for the Tesla Roadster study is close to a 7% sample, from what I gather and the Tesla Model S one had a healthy start, but could use more participants. With the new range numbers from the redesigned front fascia of the vehicle, I am sure I’m not the only one to wonder what the long-term differences would be between a 90D classic fascia vs a 90D new fascia. 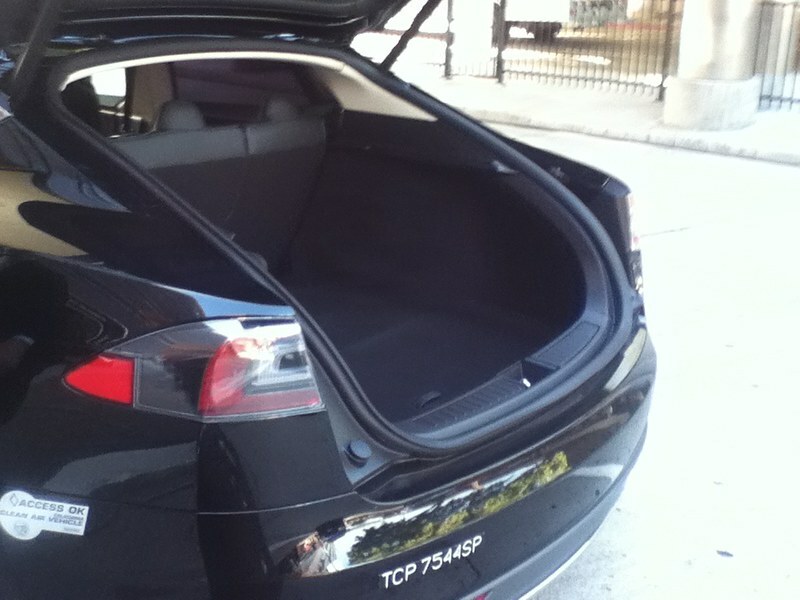 Providing a third party study of the effects of long-term battery health enables all concerned with a greater understanding and comfort to know “that Tesla knows what they’re doing.” Furthermore, it gives current non EV drivers a sense of comfort when making the switch to electrically fueled car ownership. So, if you own a Tesla Roadster and haven’t participated in the study. Or perhaps you’re one of the lucky few to have upgraded to the new 3.0 battery from Tesla, please fill out the Tesla Roadster battery survey. 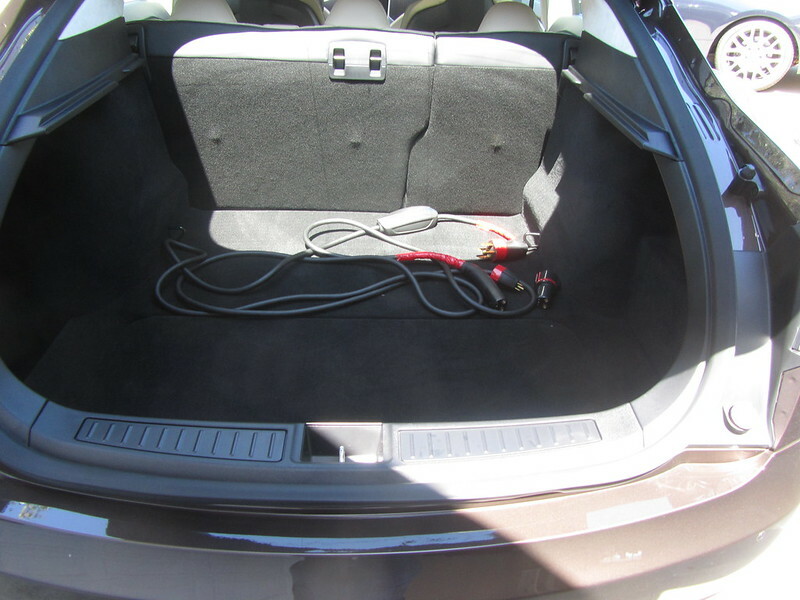 Perhaps you’re a Model S owner and you’d like to help add to the number of respondents to this study, fill out for the Tesla Model S battery survey. What has Tom been able to share with the public so far. Well, for the Roadster, he’s published an entire study three years ago including a paper entitled “Plug in America’s Tesla Roadster Battery Study.” The advent of the 3.0 battery upgrade may require a new study and the addition of almost another three years since the publication of that study might give more information to the study, but that’s entirely up to Tom and his cohorts at PiA. 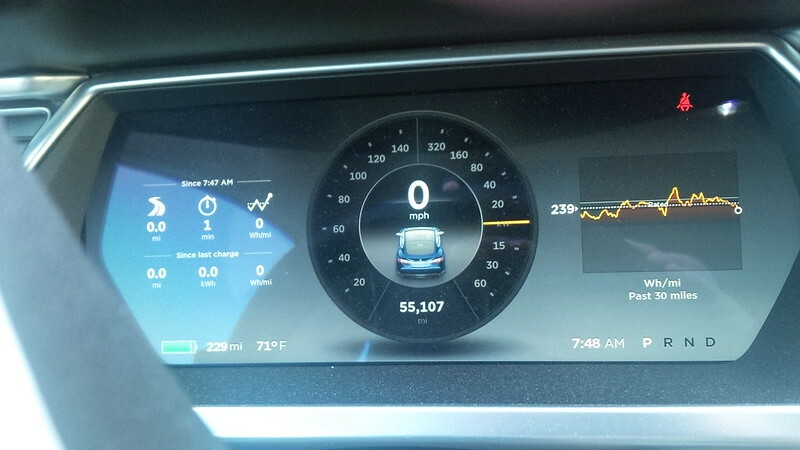 The Model S Results page is more dynamic than the Roadster results publication. I have taken screenshots as of April 27, 2016 of a few of the dynamic charts that are provided on the results charts page. 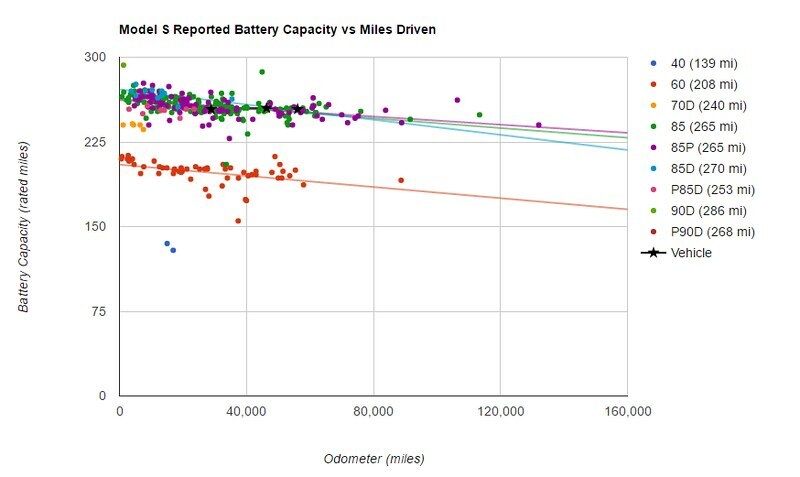 The first chart that caught my eye is the chart on the battery capacity vs. the miles that particular Model S iterations. With new EPA numbers with the launch of the new fascia should further complicate this chart. This same chart can be used to also track how a particular respondent’s vehicle matches with the universe of respondents. The Vehicle in black on the chart below shows the performance of my vehicle in relation to other respondents’ cars. 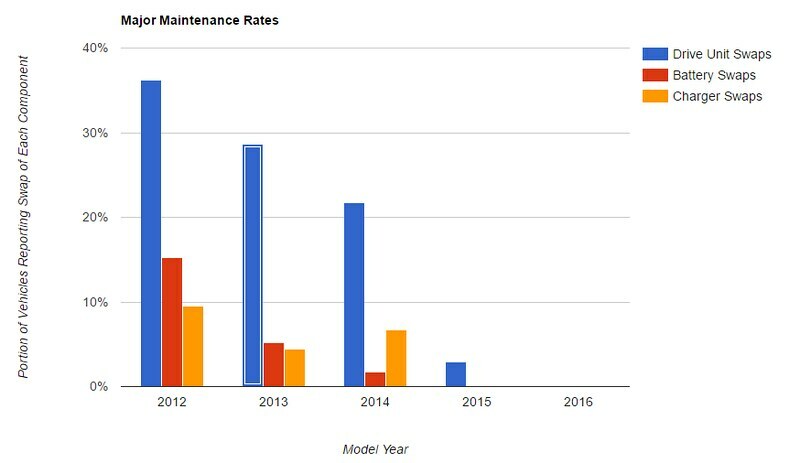 The third chart that was of interest is the reliability of certain components, namely the Drive Unit, battery, and chargers on the Model S. I wonder if the increased reported failures on chargers for 2014 vehicles resulted in the movement from the old chargers to the new 48A charger. Lastly, the inspiration to my exhorting fellow owners to participate in this survey was the chart of participant vehicles. For as many Model S are on the road now, I wonder as to the ability of this study, in its current count, to fully report on the vehicle with a small sample size. 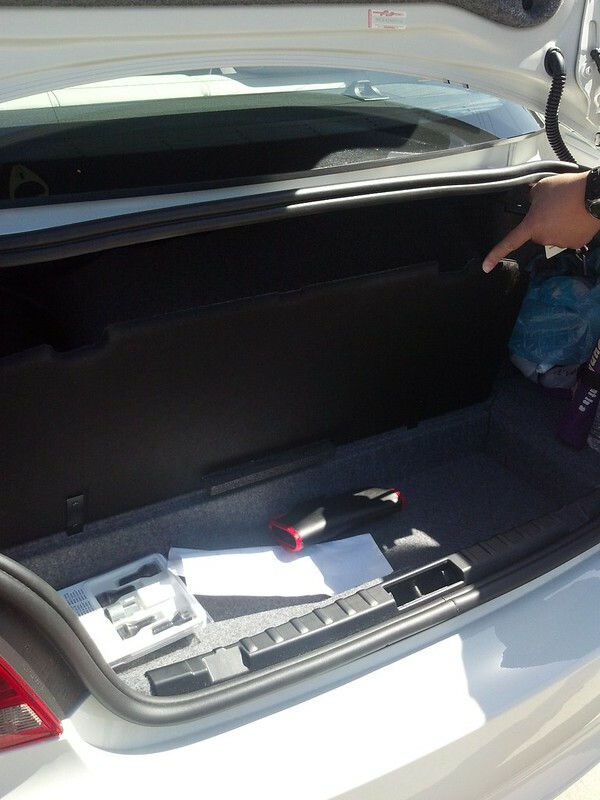 The Model S battery survey form is fairly straight forward and serves our common purpose. Tesla has been great, but it’s also good to have interested third parties run a check against what they claim and provide. 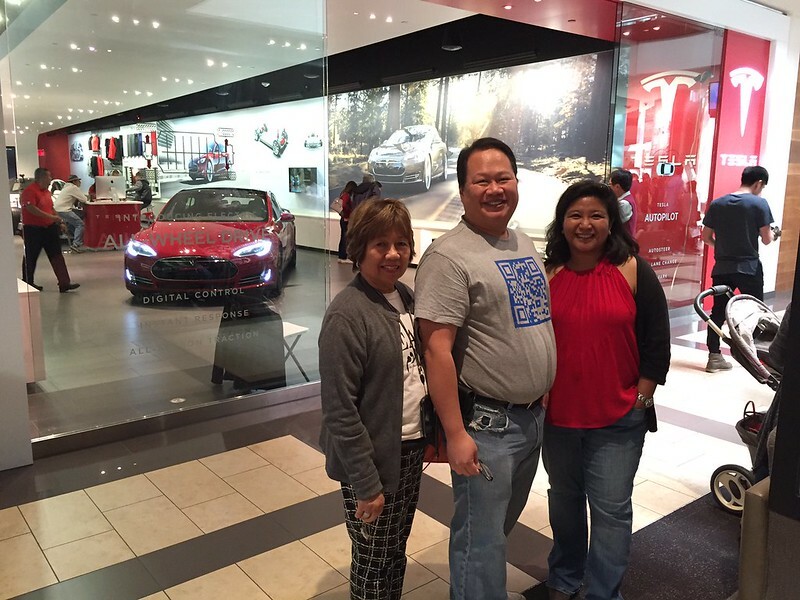 This past Sunday, April 17, 2016, my wife and I attended the Tesla Weekend Social at the Costa Mesa (California) Sales and Service Center. We were sent this invite a few days ahead of the first ones on April 14, 2016. 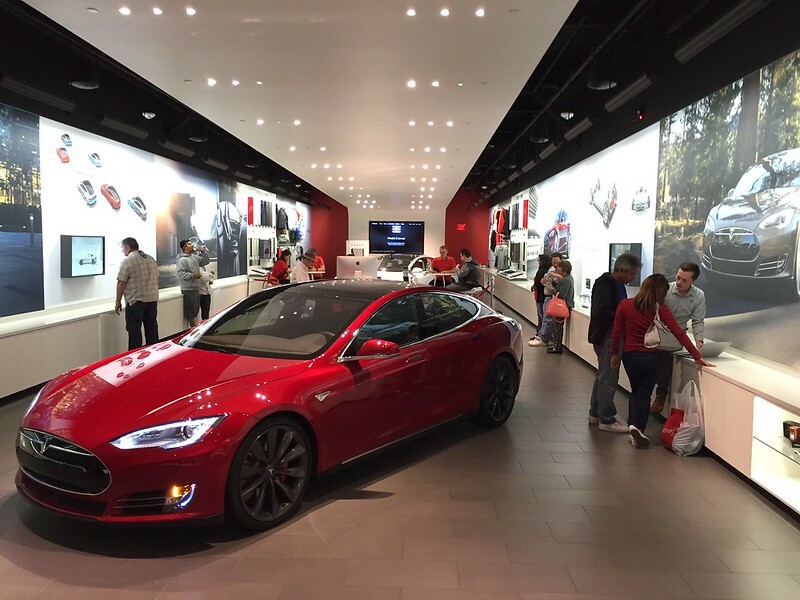 We are excited to invite you to the launch of the Tesla Weekend Social series at your nearest Tesla location. This new event series was designed exclusively for owners. 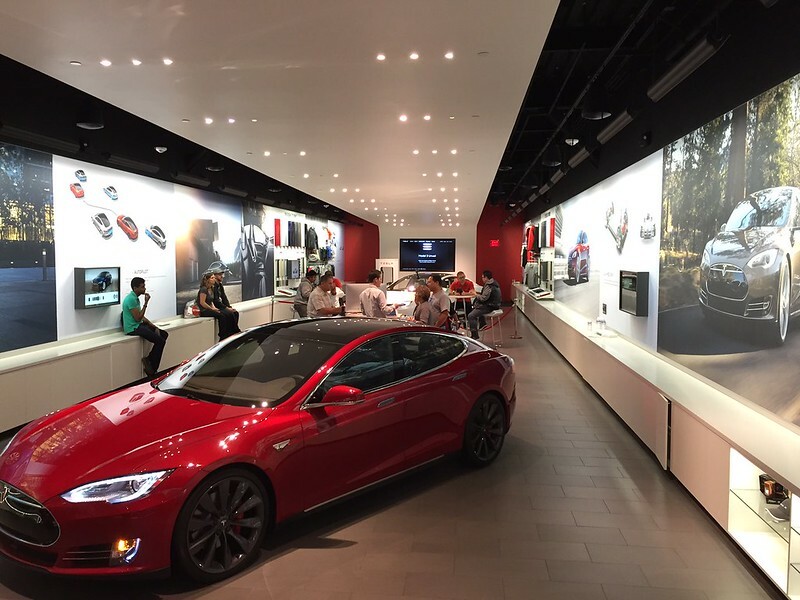 Over a light breakfast, you’ll have the opportunity to engage with Tesla product experts, learn more about latest product features and speak with fellow owner enthusiasts. We look forward to seeing you this month as we take a closer look at Summon. To find the event nearest you, select a date below. 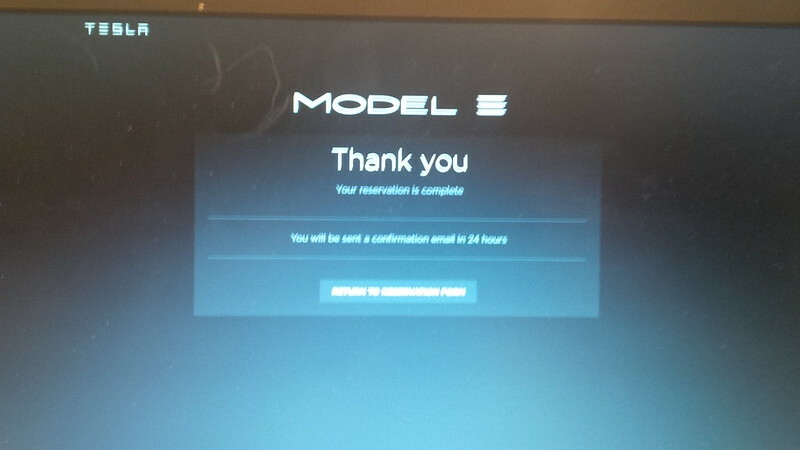 We were intrigued to attend this Weekend Social and though the invitation from Tesla was to feature the Summon beta that has been deployed to Auto Pilot (AP) enabled newer Model S. Our current Tesla Model S version of AP is “yours truly” pulling the car in and out of the garage to let the better half in and out of the car. 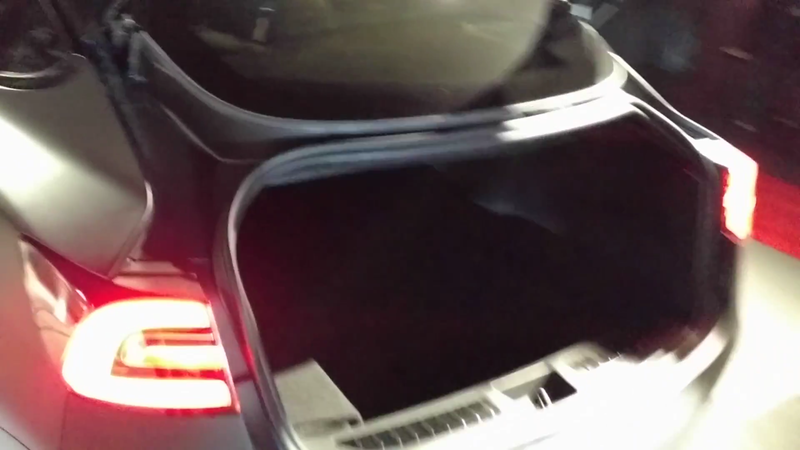 After all, with the S and Roadster in our garage, it’s a tight fit. 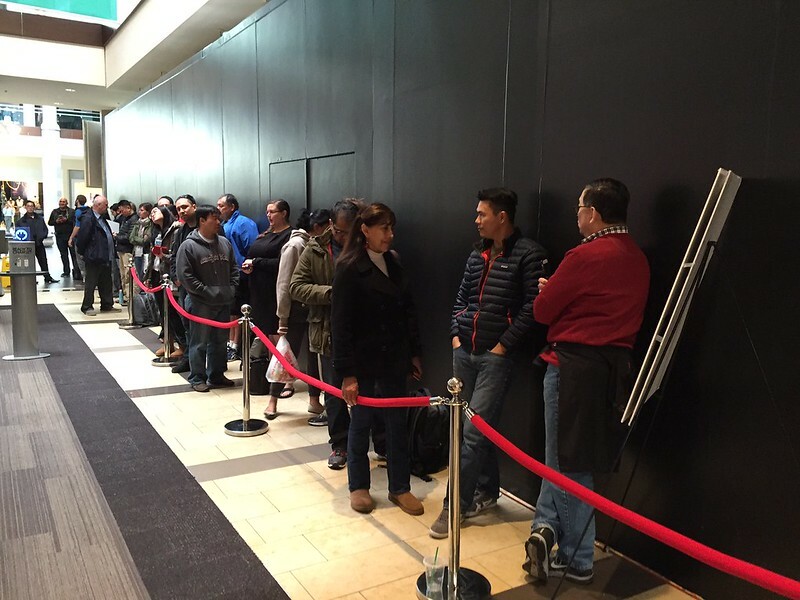 Why would we join a Tesla Store event focused on a feature that we don’t and can’t use? 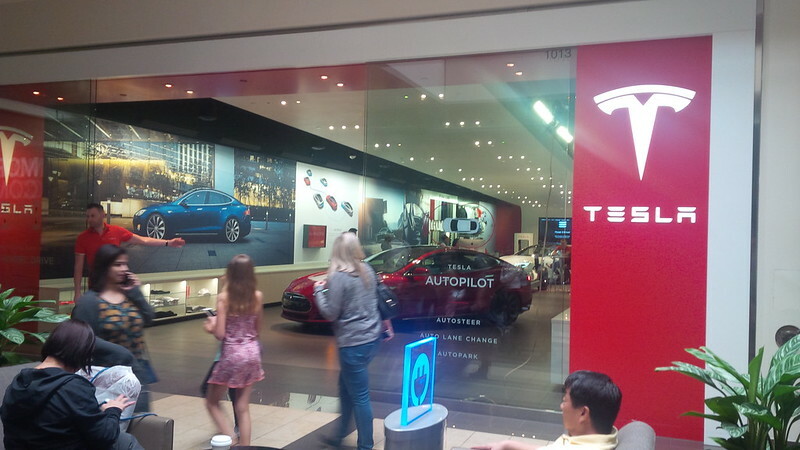 Many people own older non-Auto Pilot Model S. Demonstrating the features of newer Model S might be the motivation to push one over the edge to upgrade a car. 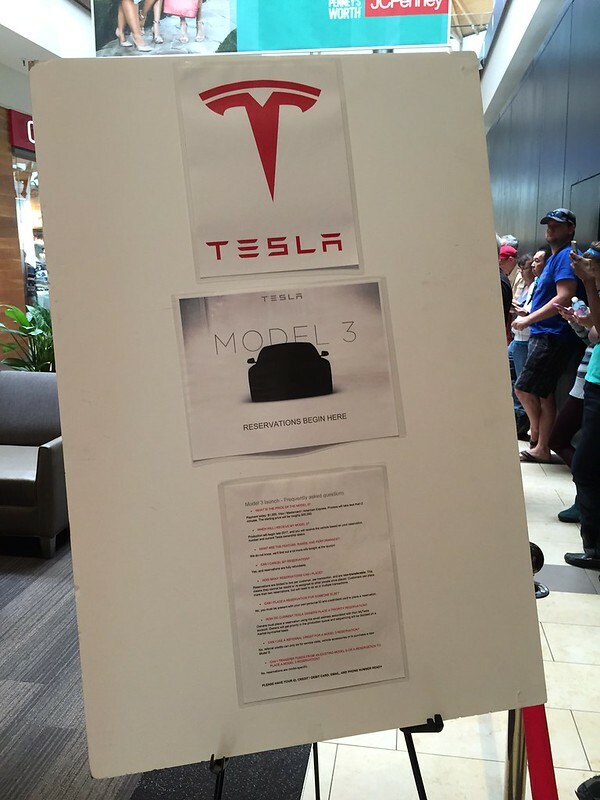 It mentioned Summon, but this “Tesla Social” thing looks to be the start of something bigger, so we wanted to see what it was about. I never know if there’s something new that I would pick up from others. 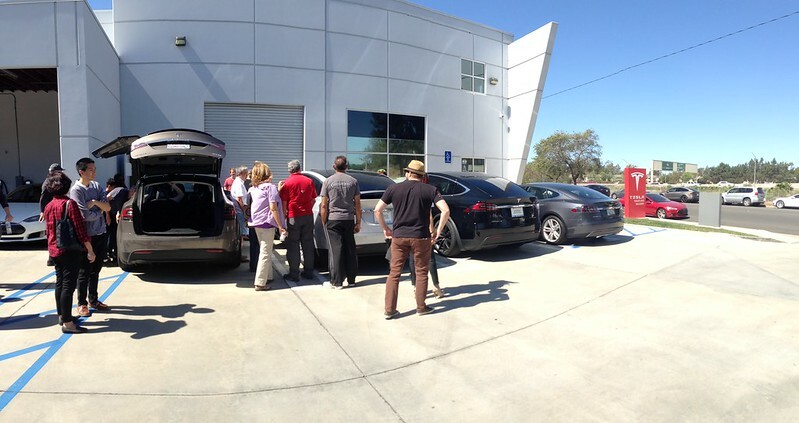 We really like to be social with other Tesla folks. So, thought, why not? 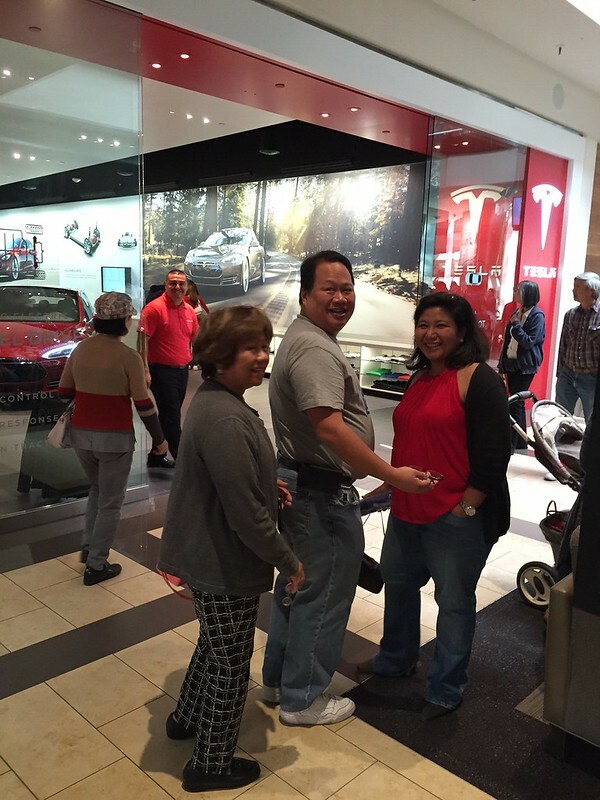 Besides, the OC Tesla Club (Orange County, California) that we help organize with our good friends Mark L (and his wife Anna) and the group’s founder Tan just registered as an official Tesla Club with Tesla Motors and wanted to “lend a hand” and see if anyone else would want to join the group. 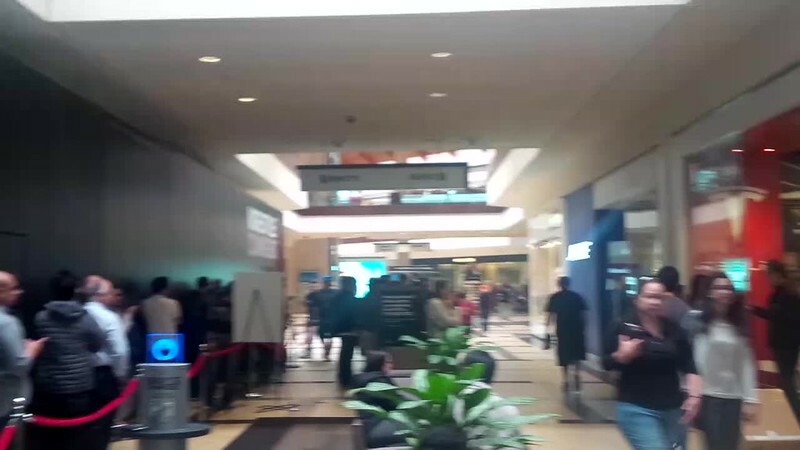 We expected there to be questions from new Tesla owners and thought that we can help cover anything else and free up the Tesla employees for other things. Apparently we weren’t the only ones interested in this weekend’s activities, here is a thread on TMC on the same thing. 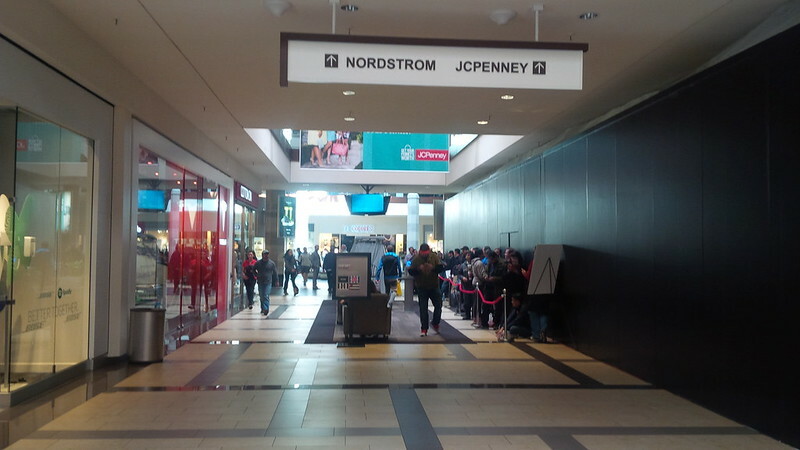 We arrived at the store at 9:58 AM and proceeded to enter the facility. 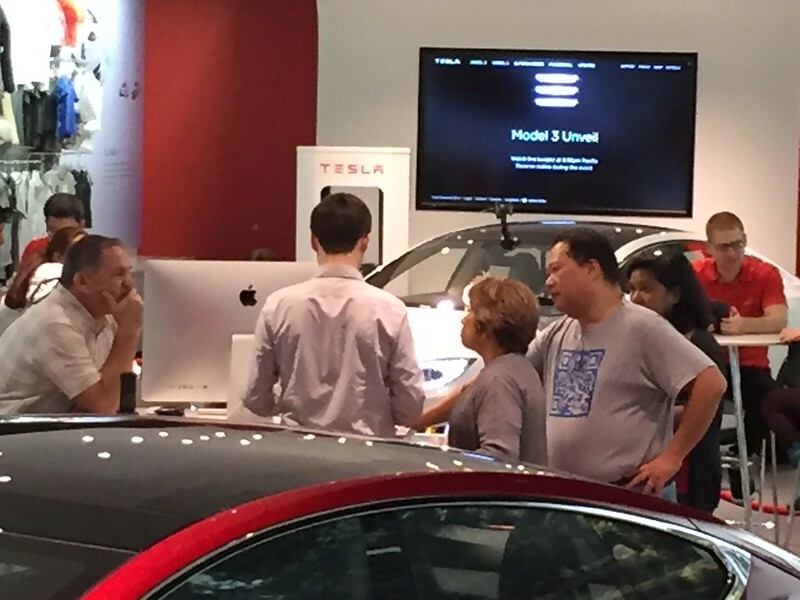 There was already a crowd of folks that were asking questions of the Tesla Costa Mesa store manager, Gavin Torres, with questions. 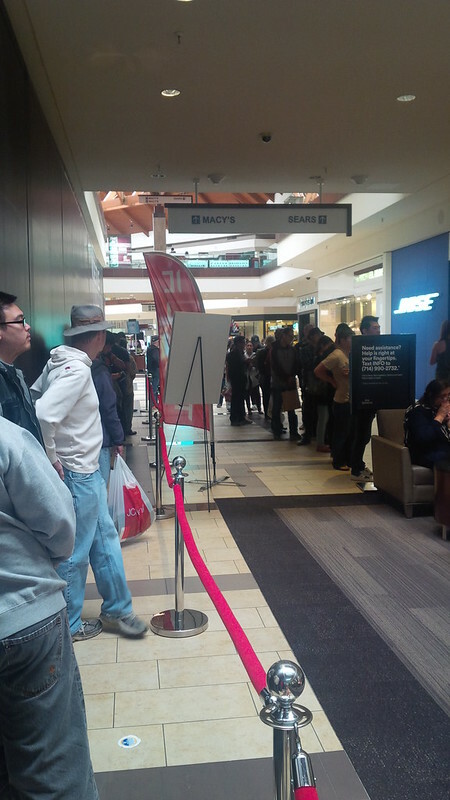 As you can see in the pictures, there were a bunch of folks there for this Social. 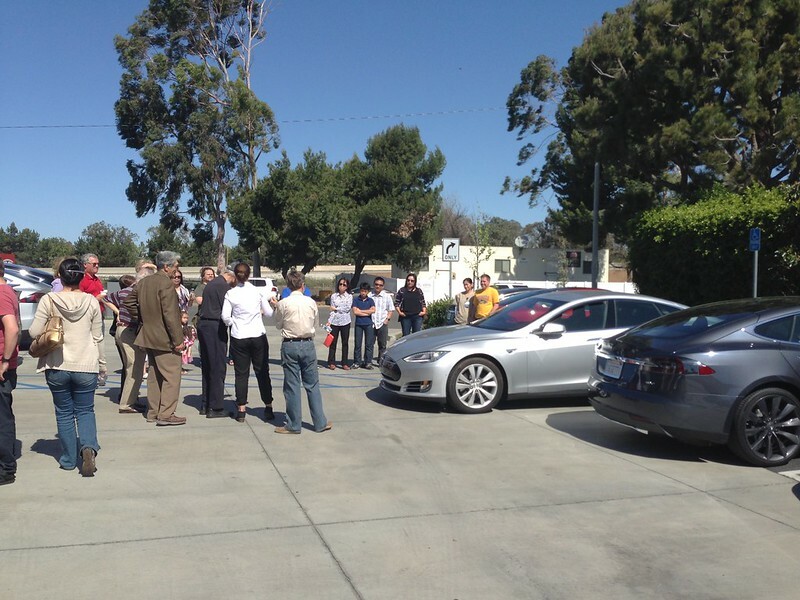 I would estimate that there were 50 people that showed up to the Tesla Social. 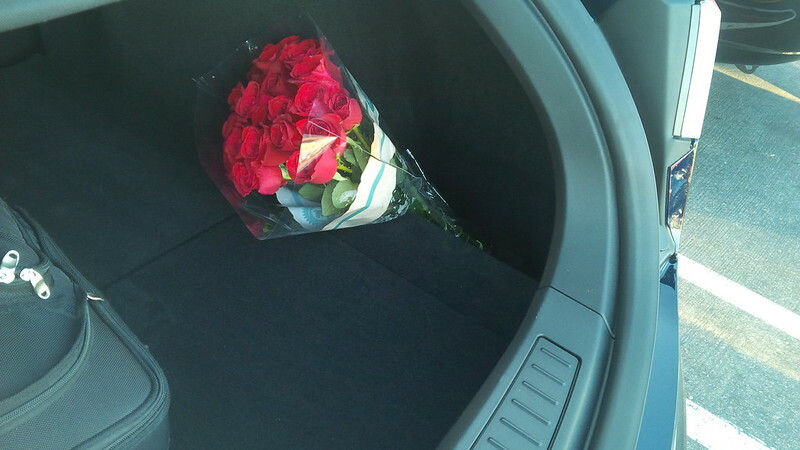 Not all were there on time, but on a rolling basis, I would guess that many. 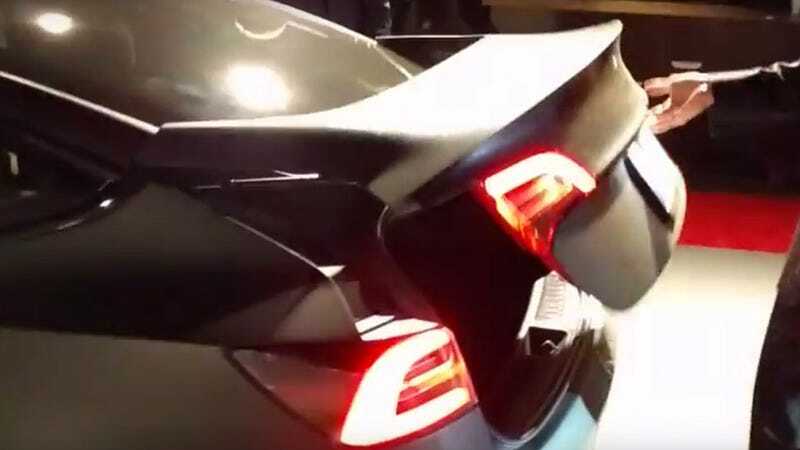 The Summon feature, as with many Tesla features, has been demonstrated by many others in videos on Youtube and those videos were more dramatic than the Tesla Social event. Here’s the one with the guy using it to pick him up from the rain. 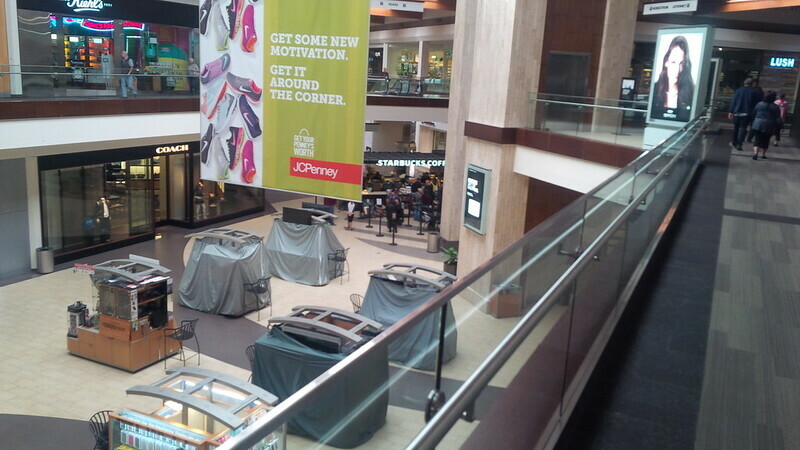 Here’s one where the owner is getting the car out of its garage. and the official video from Tesla. The group we were with was interesting in that he used a pole that was in the parking lot to show how sensitive the sensors were in the car to understand the existence of the pole and route around it. The car he used to demonstrate the feature had to be parked closer because he had used it a few minutes prior to show the basics of Summon, and it was already parked pretty efficiently. 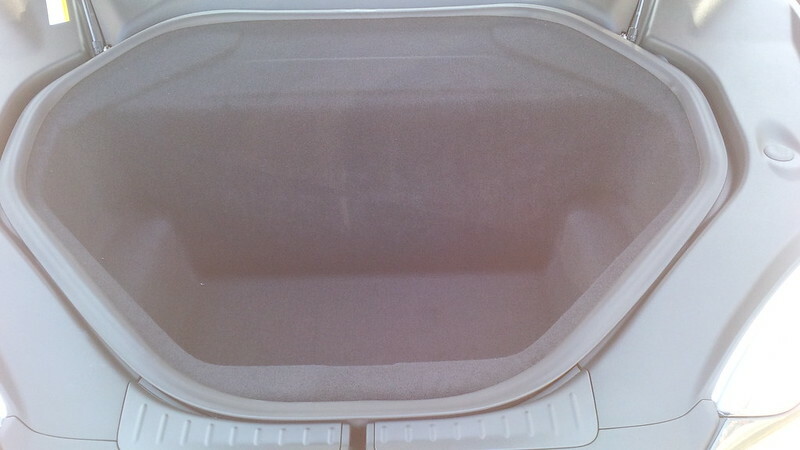 Having seen this feature in action before, I was interested to see if there was anything else that I could learn about it, and there was an interesting way that the instructor discussed initiating Summon from within the driver seat and the front panel without using the fob or app. 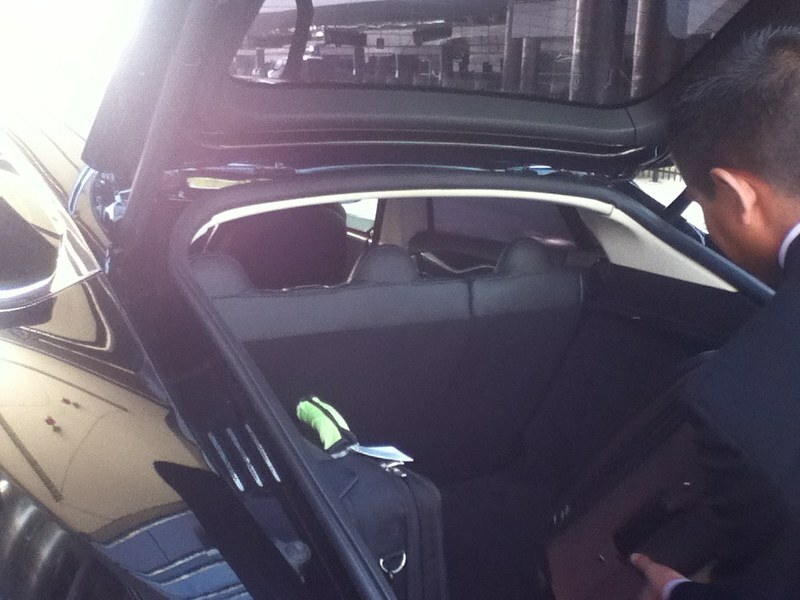 As with many places that reported on their Tesla Weekend Social activities, after the official demonstration, many were treated to a “show and tell” by those in attendance with Model X. 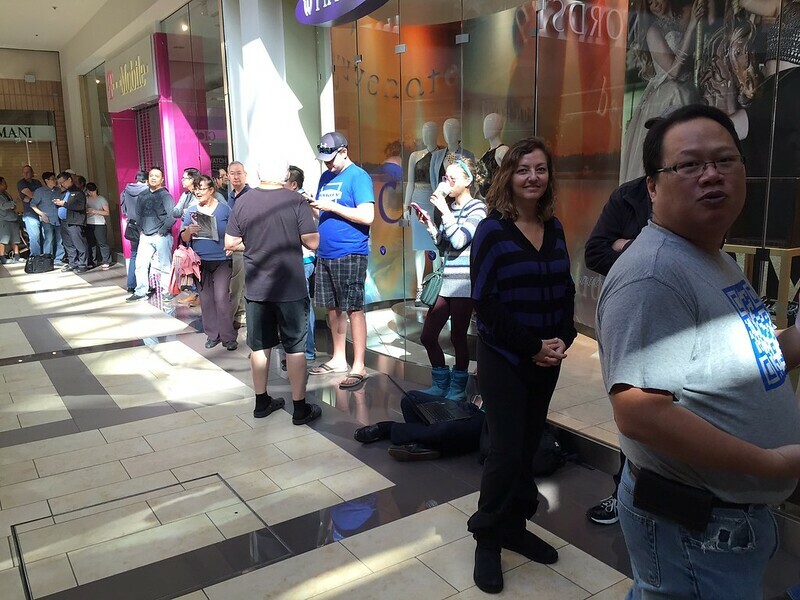 The Costa Mesa location was not an exception to this. 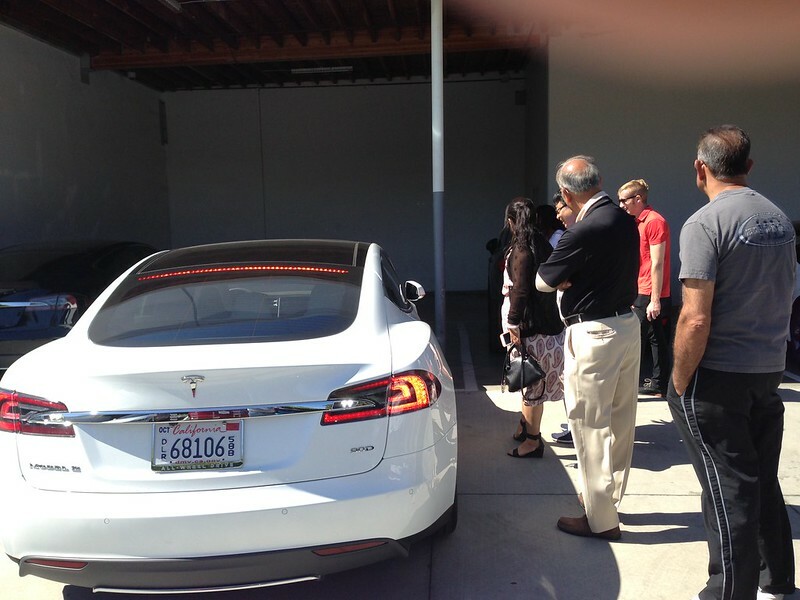 There were three Model X owners there and one did just that. 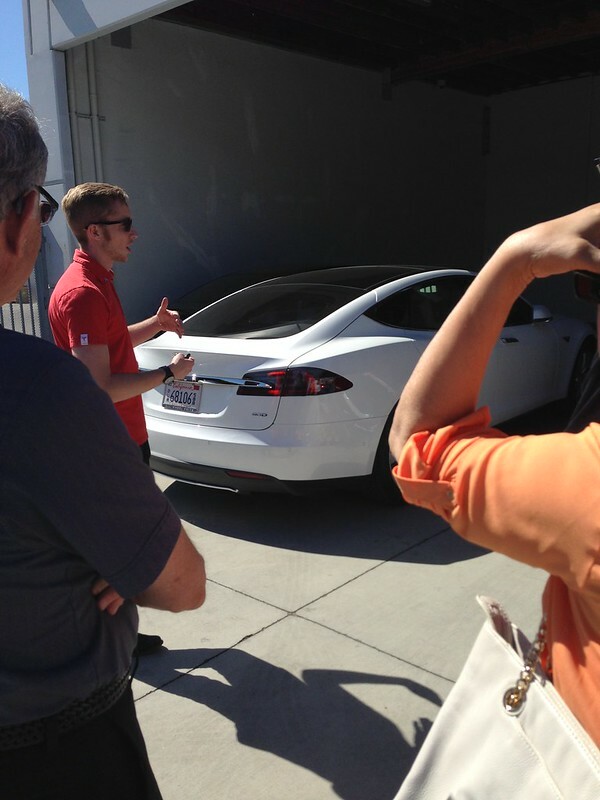 In all, we stuck around to talk with other owners and answer questions about Tesla. 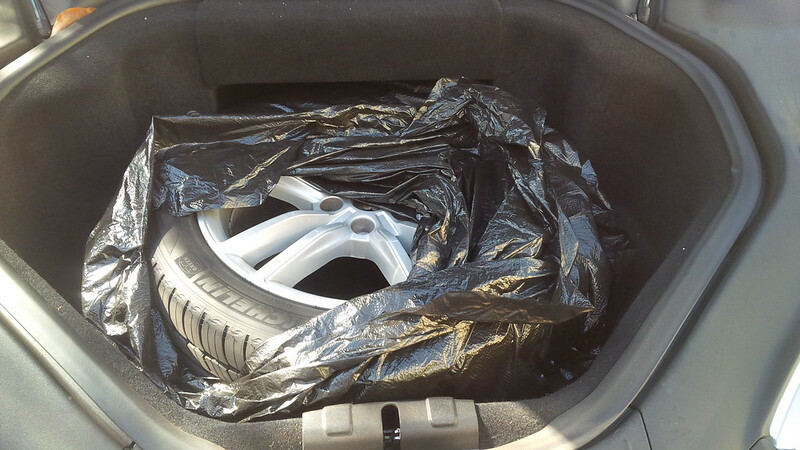 the owners ranged from folks who just picked up their cars to others, like us, who’ve had their cars for years. Was Tesla successful in getting us to upgrade our S? Not exactly… It did reaffirm our desire to have these features on our Model 3, when that gets delivered. Since we arrived so close to the start and it seemed like they started early, I found out that the first 30 minutes prior to the start of the demonstration was spent fielding all sorts of questions from the owners that were present. 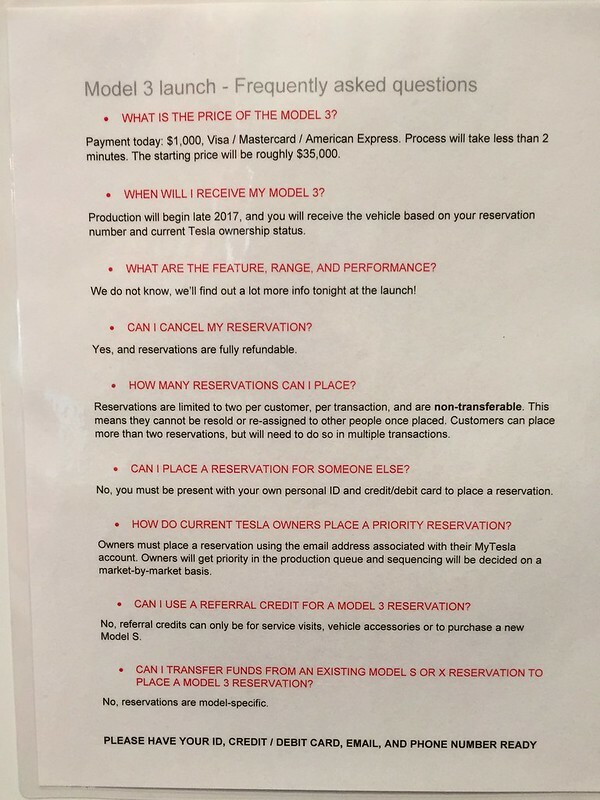 This speaks of a need for Tesla to perhaps be more thorough in their delivery process in showing folks what they need to know during the pick up. Granted, the over the air updates change the look, feel, and behavior of the car that being trained on a feature that suddenly shows up is a challenge for Tesla. However, taking the steps to add these Tesla Social series will allow those that suddenly have new features show up in their car with a forum to ask Tesla how to properly use these features. 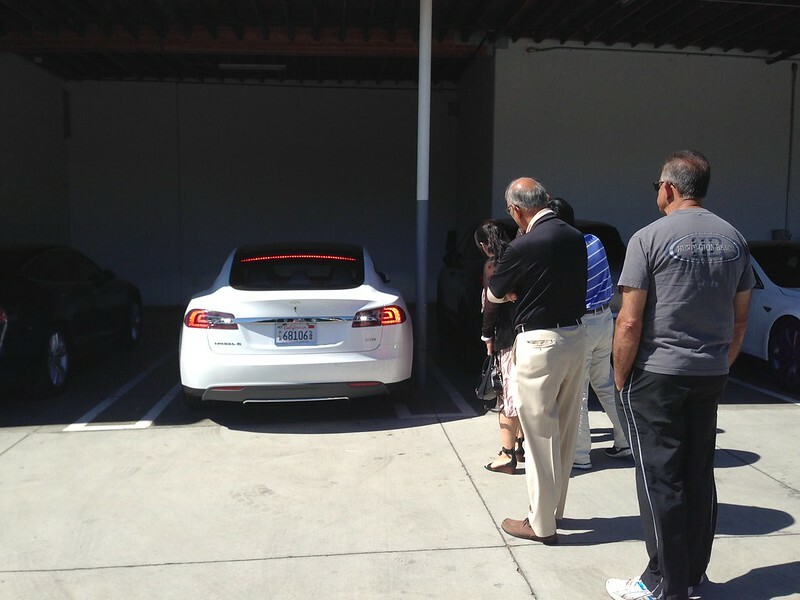 It is commendable to see Tesla start to do ownership outreach in this manner throughout its Sales Centers. 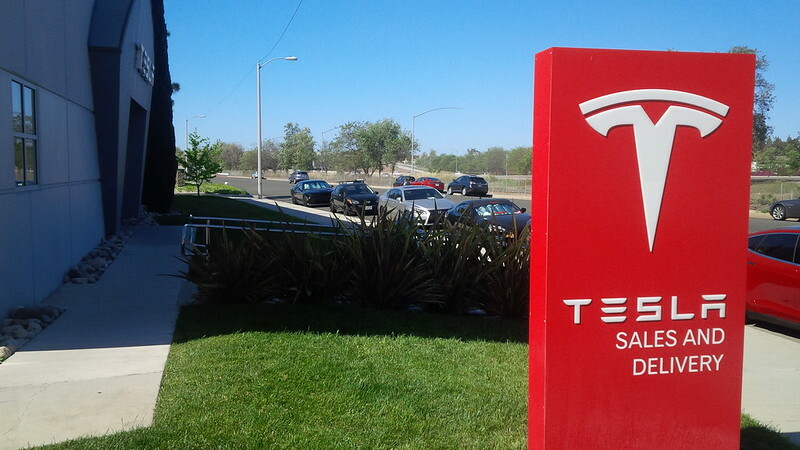 In the meantime, hopefully, resources from the ownership community, such as our OC Tesla Club, Tesla Motors Club forums, Teslarati, and others can all be there to provide much needed assistance. 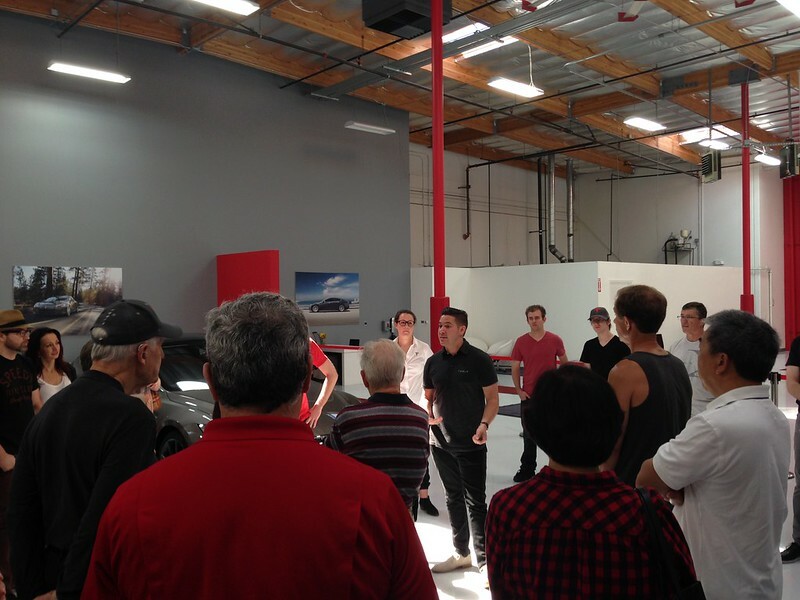 I’ve asked fellow OC Tesla Club members to make new owners aware of our club’s existence so we can alleviate the crush on Tesla’s employees on questions that can be easily answered and demonstrated by the owner members. 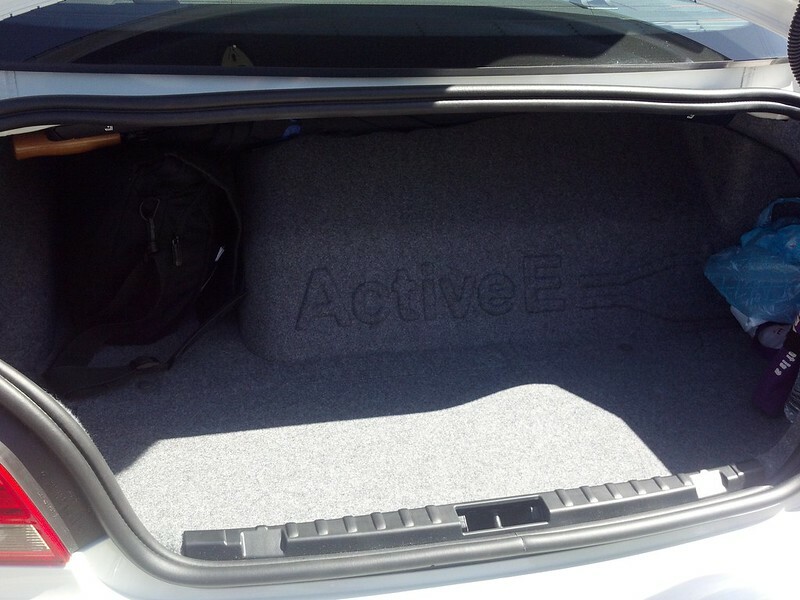 Posted on April 16, 2016 April 16, 2016 Categories ActiveE, BMW i, Tesla, Tesla Model 3, Tesla Model S, Tesla RoadsterTags ActiveE, BMW, BMW ActiveE, Boot, Frunk, Model 3, Model S, Roadster, Tesla, Tesla Model 3, Tesla Model S, Tesla Motors, Tesla Roadster, Trunk6 Comments on What’s the big deal with the Model 3 trunk (boot)?